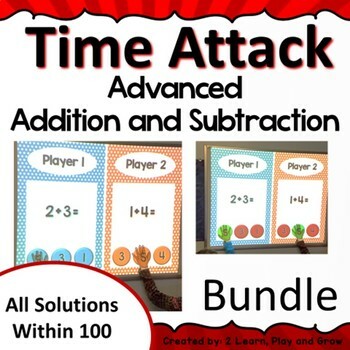 Digital Math Game Time Attack FREEBIE Addition Play On Any Device! Time Attack is a Power Point based action packed, digital math game that will have your kids excited about learning and working as a team to race the clock to clear progressively harder stages with fellow classmates! 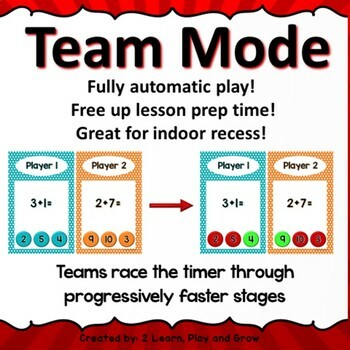 With multiple game modes including solo time attack and team mode this can be played as an individual or as large teams splitting your classroom. Practice your math skills with this digital timed flash cards in solo mode or be the last child/team standing to win in team mode. The kids in my classroom are always engaged and excited for playing this game. They often end up playing solo mode just for practice for the next team match. 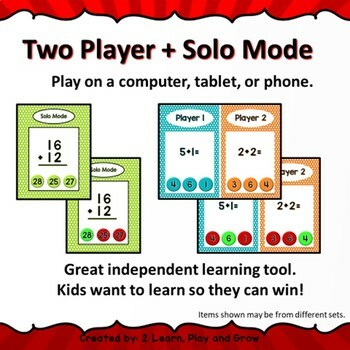 Solo Mode: This quick paced multiple choice game can be used on any number of devices supporting power point. Be it a phone, tablet, computer, digital white board, etc. In this game, a solo player will race through the questions growing and enforcing mental math skills in order to answer questions correctly before time runs out. 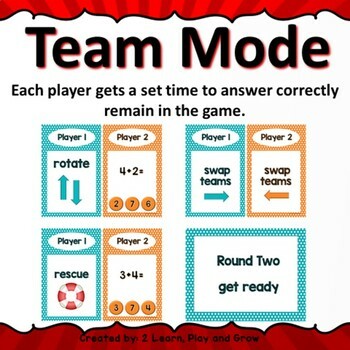 Two Player Mode: Similar to solo mode but utilizing a split screen format this challenges two players to race the clock solving math problems while advancing past rounds where the time to answer is shortened. Team Mode: This is where we crank the fun factor to ten! Have your students form two single file lines. Open one of the "Team Mode" versions. There is Click to advance or auto play (I would suggest click to advance for your first time while students learn the flow of the game.) Auto play is great once students can play independently and you can use this free time (approximately 15 minutes) for lesson prep. The first player in each line starts the game. Both players will be faced with a math problem and a set time to answer. Both players then place their hand on, point to or say their answer (if the play screen can’t be touched). If both players get their question correct in the allotted time they stay in. If they selected the wrong answer or ran out of time, they are out (for now). When a player is out, they sit on the their team's side to cheer for teammates. and bonus intro to addition and subtraction +-1 +-2 team sets .